A vacation destination to rival that of Florida's hot spots, the city of Myrtle Beach has been welcoming visitors for over 100 years with its pristine Atlantic waters and soft sandy beaches. 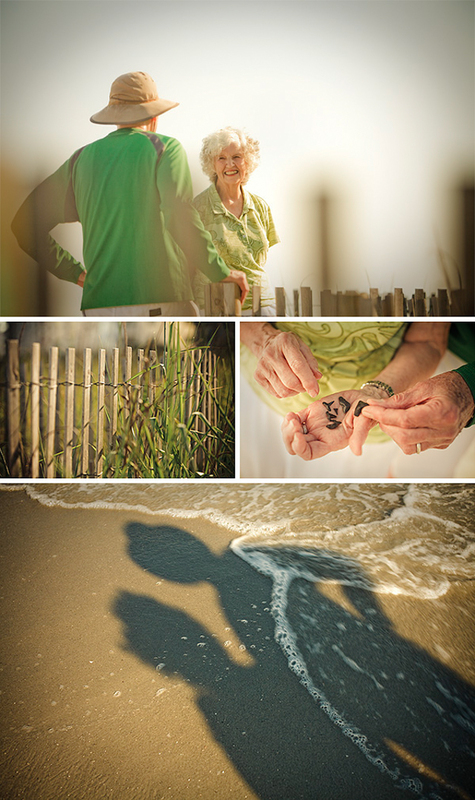 Last week we had the chance to spend a few days in North Myrtle Beach profiling Andrew and Julie Pytosh for the first of four United Health Care "Member Stories" under the badge of invoko. Our scope for the project included interviews by Dave Schroeder - Pilotvibe, art direction by Nathan Strandberg - EightHourDay, and still + video capture provided by myself - JCP. I'm excited to look back on this first leg of the project documenting AARP supplement members knowing that the crew and I have raised the bar in terms of collecting content and implementing video into the overall endeavor where appropriate. As I've mentioned before, there's never been a more fascinating time to be in the business taking part in the merging of the still + video media realms. The new gear we've integrated as well as partners in shooting and post production are keeping things quite exciting as we move forward with new clients and expanded project requests. The latter half of June and most of July have us running at full speed with travel to NYC, Houston, D.C., and Atlantic City. Check out the blog and keep pace with us as we share new people, places, and content.